Although many kids stay up late on long sum­mer days, once school starts they should return to their normal sleep routines, ex­perts say. Adequate sleep is essential to a child’s academic success and overall well-being. Researchers say that 3- to 5-year-olds need at least 11 to 13 hours of shut-eye per night. Five to 12-year-olds need at least 10 or 11 hours a night. From memory to judg­ment, attention span, emotional stability and even immunity, sleep de­privation negatively af­fects school-age children. As for adolescents, it’s a common myth that they need less sleep and can handle only seven or eight hours. They actually need nine hours of sleep. Ado­lescents are typically the most sleep-deprived age group in school. A poll by the National Sleep Foundation revealed that 60 percent of children under the age of 18 com­plained of being tired dur­ing the day. Moreover, 15 percent admitted to fall­ing asleep at school. 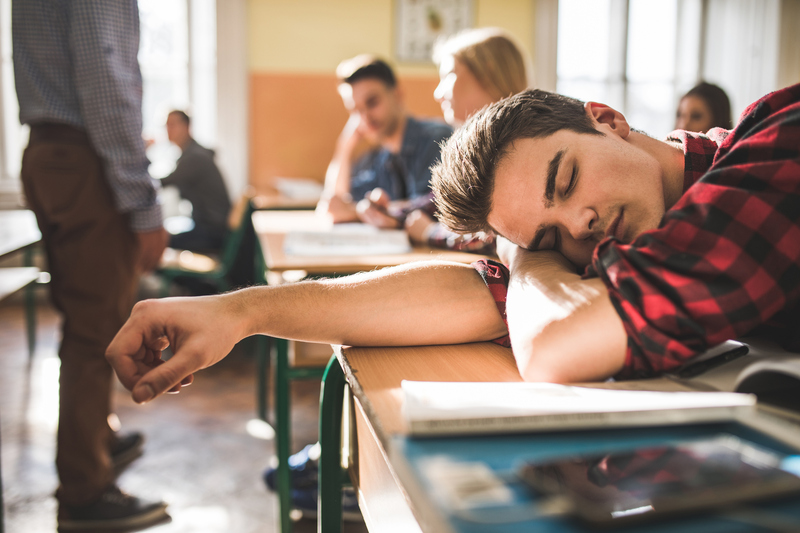 Anticipating the first weeks of school, experts say children should start go­ing to bed earlier to avoid these feelings of daytime sleepiness and ensure a smooth transition back to the classroom. Since missed hours of sleep can add up and have detrimental effects on children, experts recom­mend that parents remove electronic devices from their child’s room, mak­ing it as calm and peace­ful as possible. On average, there are three to four electronic gadgets in a kid’s room. Research shows that even sleeping with a televi­sion on deprives a child of 20 minutes of sleep per night. That may not sound like a lot, but adds up over a week’s time. The Methodist Sleep Diagnostic Center of­fers specialized care for youth (age 13 and older) with sleep disorders. Call (865) 835-3810 for more information or visit www.mmcoakridge.com/sleep.